The creative mind is much like a sponge, constantly absorbing. As designers we are inspired by everything around us: curated social platforms, magazines, television, movies, shopping, and let's not forget.. customer feedback. 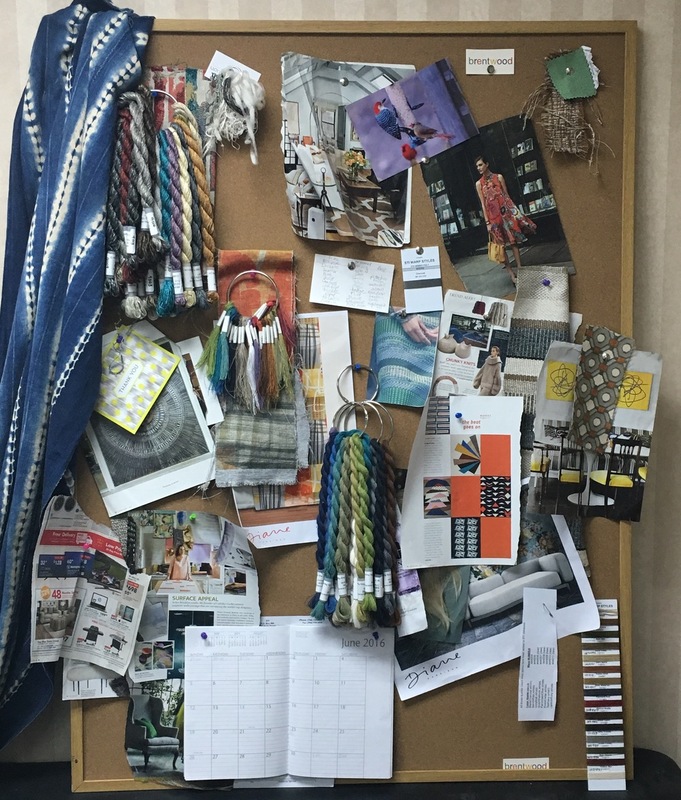 The key to creating a prosperous line of fabrics is to take all the information we absorb and translate it into something desirable and sellable. Sometimes the idea is such on a subconscious level that it can be hard to see the inspiration; where other times it can be very literal. Your right brain mulls it all over and then often times you have that epiphany... the aha moment! For me, that moment is likely to occur while driving, sleeping, or being in the shower. You really cannot force it... it has to grow organically. As designers, we have to work within parameters: yarn toolboxes, color palettes, constructions, testing. We are constantly evolving and challenging our preconceived ideas. Trends are cyclically as well… so there is a definite respect to the past successes and trends.